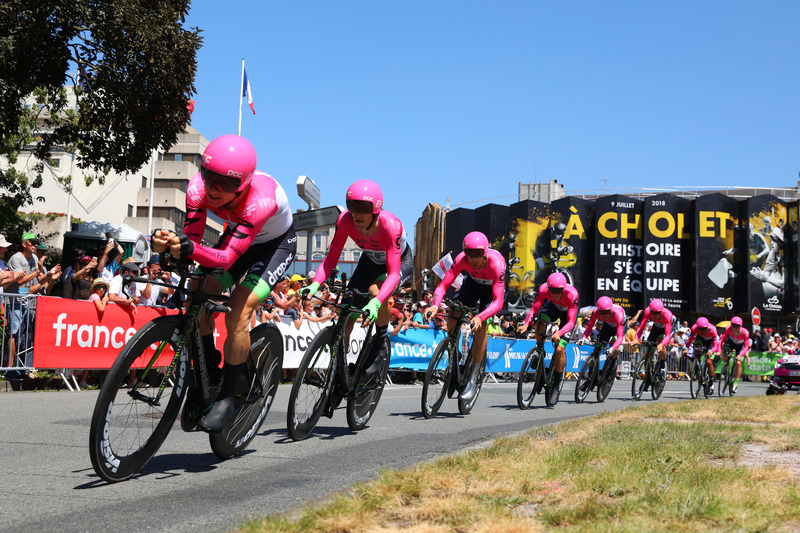 "This TTT has been a target for this team since the Tour de France route was announced at the end of last year. Andreas Klier, in particular, has basically organized his life for the last 6-8 months around providing us with the best time trial equipment possible. The effort he put into wheels and tire combinations…We’re also on a new Cannondale TT bike as well. The effort behind the scenes for today’s race was huge. We all knew that. We knew we were on the best equipment possible. That gave us extra motivation to deliver today. 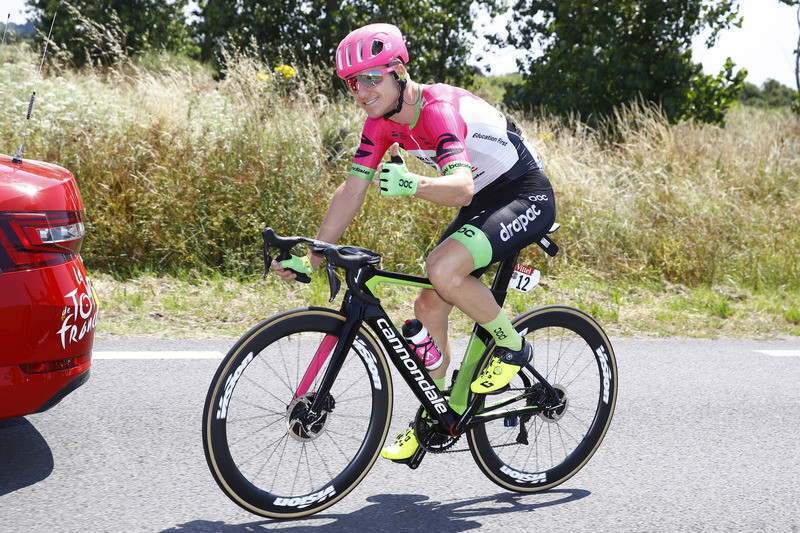 To have gained 51” on nearly all the pre-race favorites on the first day… Our big picture plan coming into this race, pre-Tour de France was to limit the damage. Try to lose as little time as possible. That we’ve gotten through the TTT and Rigo is tenth on GC and we’re still ahead of 90% of the pre-race GC favorites, that’s huge. That’s very special. 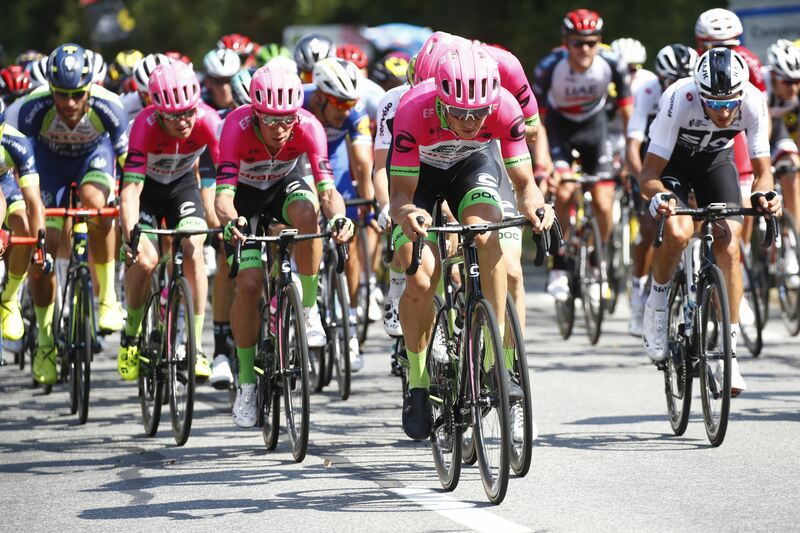 We really need to appreciate what we were able to achieve and really try to carry on with that throughout the first week of racing, before we deliver Rigo into the mountains and let him do this thing. I can’t thank the EF Pro Cycling organization enough for the efforts that went in behind the scenes to make today’s result happen. I would nearly go as far as saying that they provided us with that result. The bike they provided for us, we flew. It was a really special feeling. Lawson – I expected he would ride well today. He rode amazing. I wasn’t impressed but I was surprised at how long he lasted and how much he was actually able to contribute. After he got through yesterday, I knew he would be able to contribute today but to contribute in the quantity he did today, it was pretty amazing considering his injuries. It really shows the full commitment this team has to our goals, to Rigo, to give him the best chance of finishing on the top step."